Lead researcher Professor Peter Hajek, from Queen Mary University of London, said: "This is the first trial to test the efficacy of modern e-cigarettes in helping smokers quit. E-cigarettes were almost twice as effective as the 'gold standard' combination of nicotine replacement products. 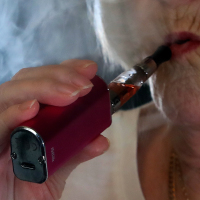 Martin Dockrell, from Public Health England, said: "This landmark research shows that switching to an e-cigarette can be one of the most effective ways to quit smoking, especially when combined with face-to-face support. "All stop smoking services should welcome smokers who want to quit with the help of an e-cigarette." Check out our medical travel insurance options dedicated to pre-existing conditions before setting off on your next break.